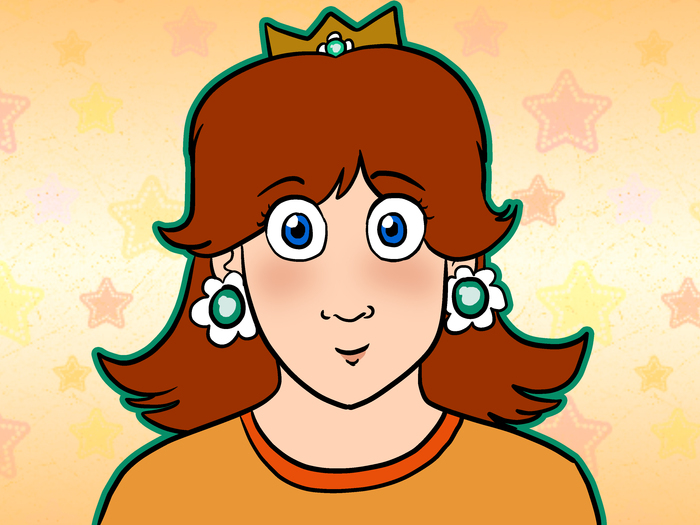 Everyone has heard of Princess Peach from the Mushroom Kingdom, but what about her counterpart, the princess of Sarasaland, Princess Daisy? Now you can look just like her by following this guide! Get a yellow prom dress with orange accents. 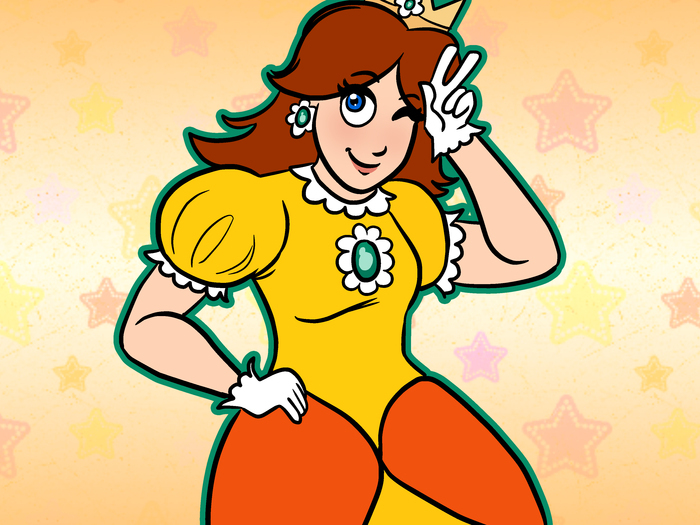 You could also wear Daisy's sport uniform. You would need a Yellow tank top and orange shorts. Attach a bright green jewel with the white flower petals on the center of your chest. You don't necessarily have to wear yellow with orange accents (Daisy has been seen wearing other colors), but a cute dress or skirt is a must. 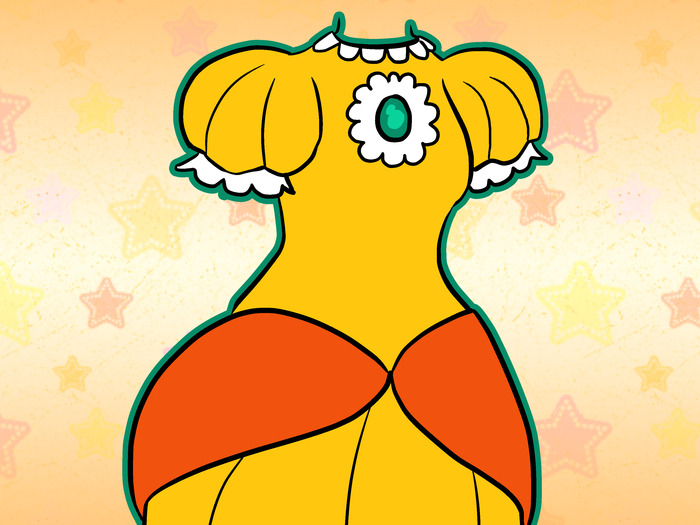 You can also wear her old dress (orange and white). Accessorize. 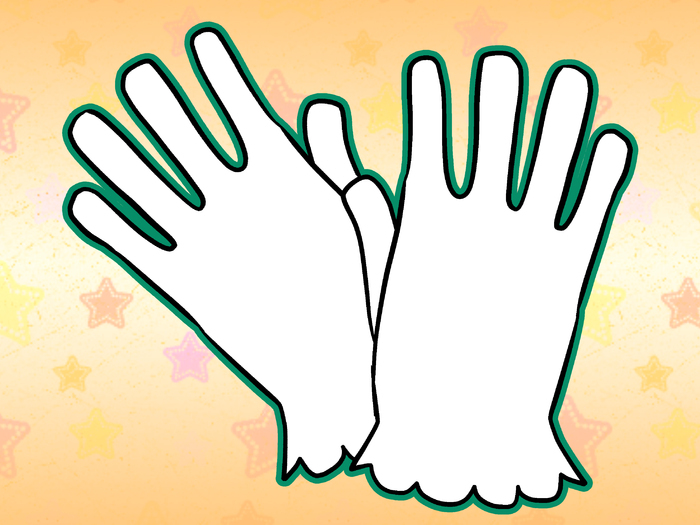 Wear wrist-length white satin gloves, earrings, a necklace, and a crown if possible. Make sure your hair is worn to the length of your neck, but still full of volume, and it must be neat. Keep it long. 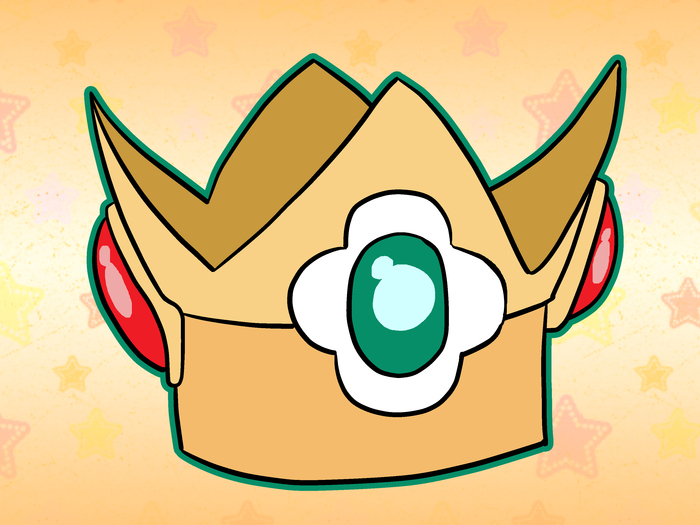 Cut and mold a gold Bristol board into a crown. Attach a bright green jewel with the white flower petals on it, make sure the flower is facing in your direction. Put on wrist-length white satin gloves with ruffles at the edges. 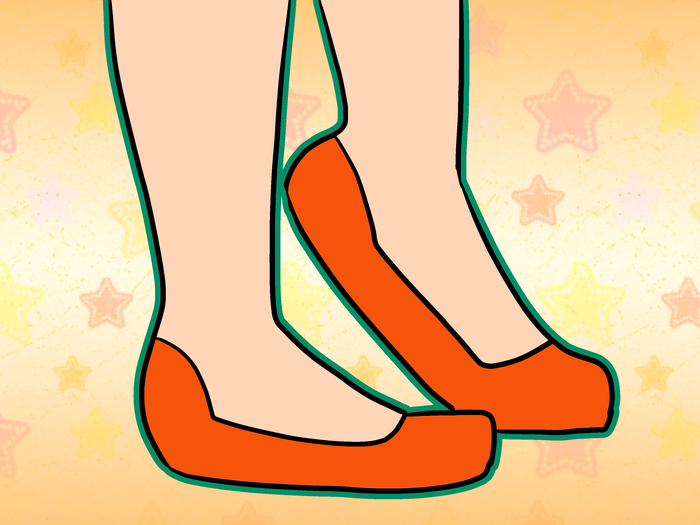 Put on orange high heels or flats. Try getting your friends to dress up as Peach, Mario, Luigi, and Yoshi. Can't find a dress? There are always Cosplay stores and websites that sell dresses that look like Daisy's dress. If you don't have brown or red hair, consider wearing a wig. People may think you are a little weird for dressing in a prom dress, but who cares what other people think?